You charge your mobile phone every morning before leaving for office, and by afternoon your battery reduces to almost 50%. You need to charge it again and you can do it easily if you are in office, but it becomes quite difficult during traveling or when you are on tour. So, here we feel the need of a gadget which can meet our energy needs in such conditions. The solution is in the form of Solar Mobile charger, which takes energy from sun and charges your mobile phone. The solar panel when placed in well lit area receives the sun energy and converts into electrical energy, which is used to charge its internal Lithium Polymer battery. The energy in the battery can be used to charge your mobile phone or other similar device. The first generation solar technology uses Mono-crystalline and Poly-crystalline solar panels; these panels have high conductivity. The second generation solar panels are comparatively thinner than the first generation technology. They are made up of Epoxy Resin and Copper Indium Gallium Di-Selenide (CIGS). Although, these are flexible but are not as efficient as crystalline based solar panels. How to choose a right solar phone charger? The panel is the most important component of your solar mobile charger. The higher efficiency solar panel can fulfill your mobile phone’s energy needs in shorter time span. Most of the first generation solar panels which use crystalline silicon technology have higher energy efficiency ratings. These panels have ability to generate better electricity even at low or diffused light conditions. The solar panel will not work and it will not charge your mobile phone during night. Here, the energy stored in the battery bank can provide energy to your mobile in such conditions. The battery banks are generally rated in mAH (milli-Ampere-Hours). The higher is the rating, the more is the energy stored in the battery bank. Most of these battery banks have internal circuit to protect themselves from overcharging from current coming from solar panels. But, it is always better to inquire about this feature before buying a solar mobile charger. The average battery rating of a smart phone is around 2500 mAH. 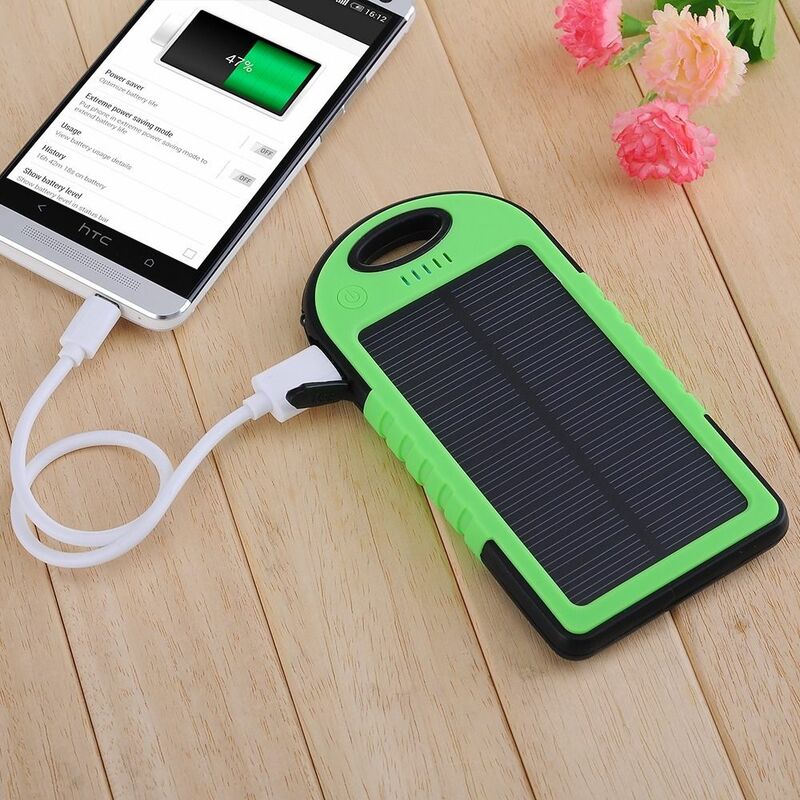 So, if you are looking for a solar mobile charger for your smart phone, then look for at least 2500mAH or more battery bank in the mobile charger. It the time required to completely charge your mobile phone. A high charging time indicates the lower efficiency and less wattage of the solar panels. Look for solar phone chargers which have charging time of around 5 hours. If you are looking something more in addition to charge your smart phone, here the compatibility of your solar mobile charger becomes important. Look for charger that has the ability to charge other hand held devices like camera, iPad, iPod, iPhone etc. It is important that you choose that solar phone charger which can fulfil your energy needs and has the good portability. Your solar gadget should neither be too large nor too small. As the panels are fragile, therefore to protect them, they should be covered with some durable frame.It should be sturdy with elegant looks. The panels generally come with warranty for any defect in the material and the workmanship, whereas there is performance warranty in the case of battery. Look for manufacturer which provides warranty in both the components. Although, your charger may not be a big investment but a good customer support which can help you in case of any issue is always a big relief. With the right selection of solar mobile charger, you can enjoy your traveling for extended period of time whether it is official or personal. What is the average cost of solar roof in India?